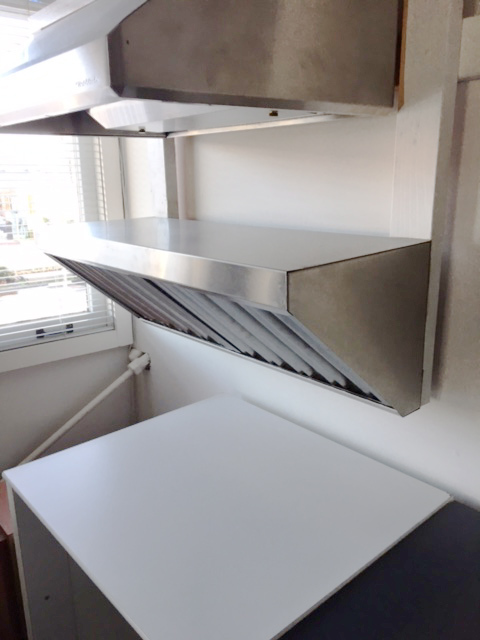 Outfit your commercial style range with a Sleek Gourmet wall mounted hood. 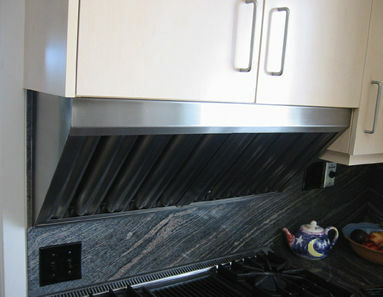 This is a unique style of ventilation (only 12 5/8" front to rear) that can install beneath cabinets, using Exterior Blower ventilation. Used with and Exterior Blower Only. Blowers Sold Separately The Hi-Velocity Sleek Gourmet Hoods offer you commercial ventilation technology that has been in used in the food service industry for over 60 years. Combining versatility with durable heavy gauge stainless steel construction and unique styling. 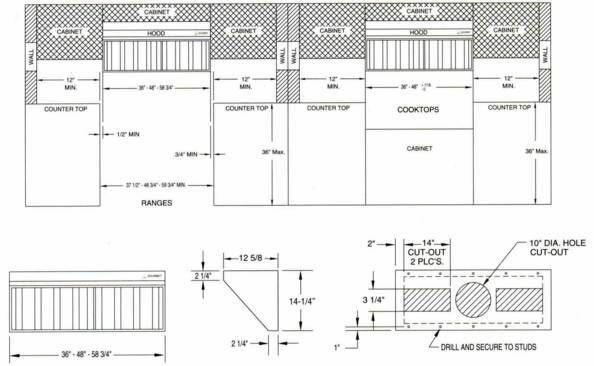 Ideal for: Ranges, Cook Tops, BBQs, Ovens and more. Great for multistory buildings, homes with cathedral style ceilings, or island applications where down draft is required. Hood: Available in a brushed stainless #4 finish, 20 or 18 gauge, welded polish. Filters: stainless, #4 finish - dishwasher safe. 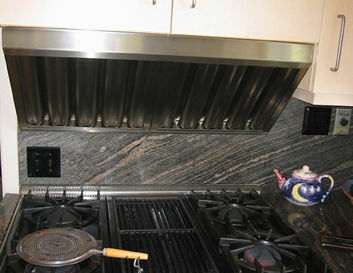 Low profile: Typical Mounting Height: 10" Above cooking surface. 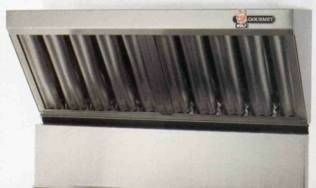 Baffle type filters are efficient as well as easy to clean & maintain and never loose their efficiency. May be used with overhead cabinets. The ABSV series hood uses a remote blower (not included) * (requires 300CFM per linear foot). 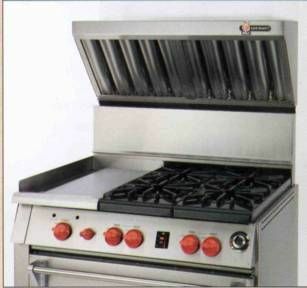 The ABSV series hood may be vented through cabinets, directly out the back through an exterior wall, or for down draft. Low profile and shallow depth of hood allow for design of lighting or storage in the area above the hood. Top of the hood may be used as a shelf. These models have been discontinued by Wolf but are still available through Dvorson's (without emblem shown below).